Congratulations for Advance Roofing Supplies! 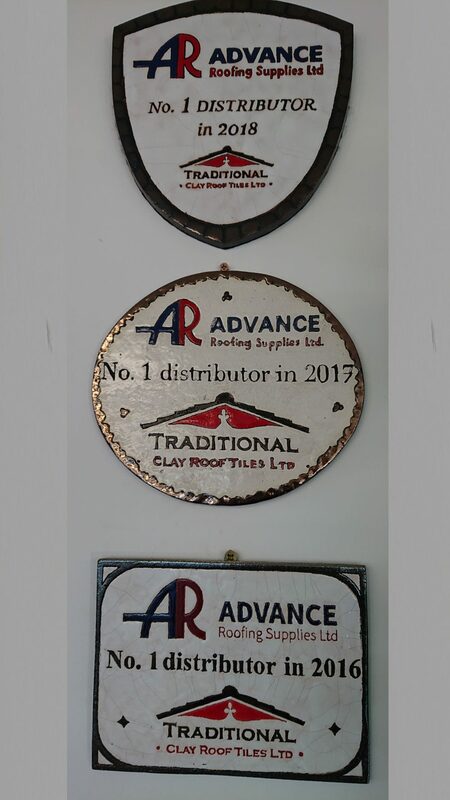 No.1 Distributor in 2018 – we are happy to announce that, once again, a specially handmade plaque was presented to Mr. Stuart Jenkinson representing Advance Roofing Supplies Ltd. by Jakub Kostrzewski, director of Traditional Clay Roof Tiles Ltd.
Advance Roofing, for the third year in a row, proved to be the best distributor in the UK of Traditional handmade clay roof tiles and fittings. Thank you for this achievement and the trust that Advance has placed in us. We wish them success in 2019! Company Reg. No. 08281620. VAT No. 150 8505 26.